The business of collegiate athletics is a relay race. At least, that’s what Temple’s former athletic director Bill Bradshaw thinks. Bradshaw, who oversaw athletics from 2002–13, is largely credited for managing one of the most significant transitions in the history of the department. 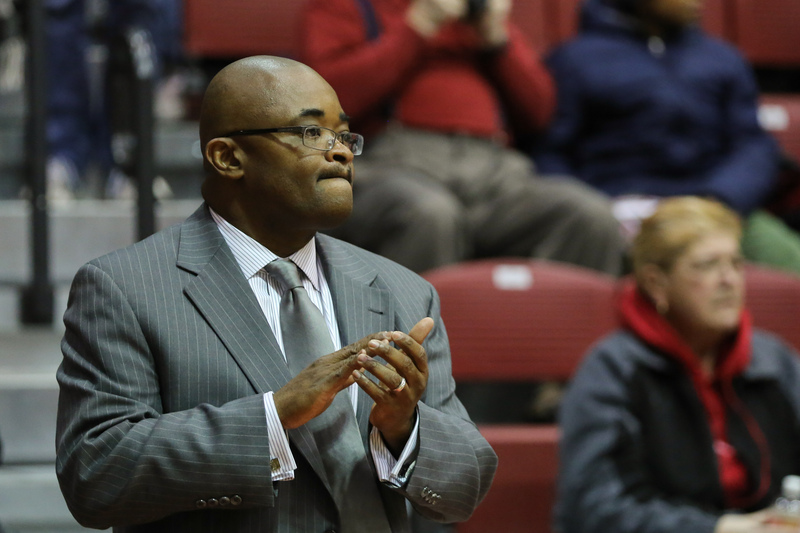 Most memorably, Bradshaw was part of the negotiations that led to the 2012 announcement that most of Temple’s sports would be competing in the Big East Conference. After the Big East folded last year, the Owls became a member of the American Athletic Conference. Temple’s fragile stake in the new conference, which is full of schools with large athletic budgets, state-of-the-art facilities and a histories of financial success in Division I football, was one of the main reasons Athletic Director Kevin Clark said he recommended the university eliminate seven non-revenue sports last December. In the new conference, Temple has the second-smallest budget ($41.5 million), but is tied for the most number of sports it sponsors (24), according to the most recent data from the U.S. Department of Education. Senior Associate Athletic Director Larry Dougherty fields questions from student-athletes at a Board of Trustees meeting held four days after the sports cuts were announced. (Bottom left) President Theobald and Athletic Director Kevin Clark explained the reasoning for the decision to cut sports at a board meeting in February. 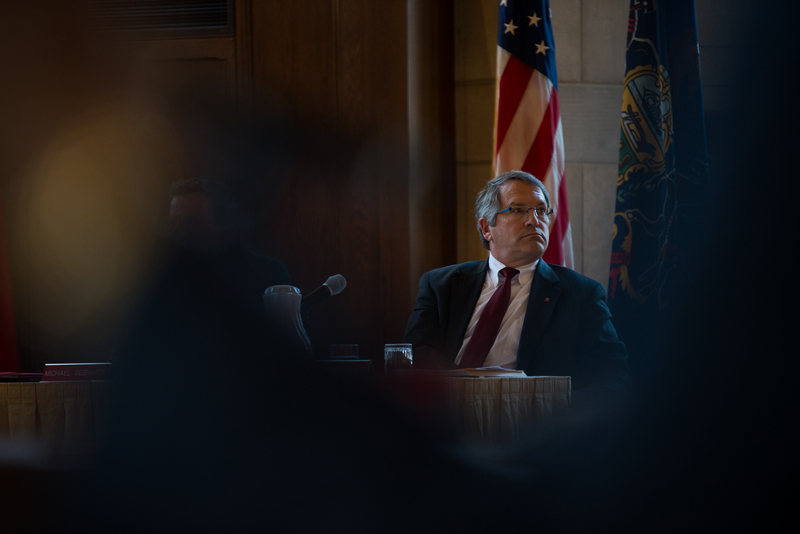 The cuts were initially estimated to save the university $3 million to $3.5 million. In an interview after the announcement, Clark denied that the cuts were made to pump money into the upstart football program. “This is to right-size our budget and to give our student-athletes remaining a chance to compete and give them the experience they deserve,” Clark said. He said there was no pressure from officials in The American to improve facilities or cut sports. The administration pointed to four factors as cause for its decision to eliminate the sports: student-athlete welfare, issues with athletic facilities, non-compliance with Title IX and the athletic budget’s low place in the new conference. If you enter through the left door leading into Gymnasium 143 in the back of McGonigle Hall, you might bump into something. There’s an elevated runway that leads up to the front door. It serves as the vault runway for the men’s and women’s gymnastics teams. Both programs have been sharing Gyms 143 and 144 in McGonigle since 1982, the year when Temple lost a Title IX lawsuit to former Temple badminton student-athlete Rollin Haffer and was forced to equalize the facility. Men’s coach Fred Turoff came up with a specific plan: put the uneven bars where the parallel bars and pommel horses were, and move the latter two apparatuses into Gym 144. That, along with sharing the floor and vault, has been acceptable to Temple’s administration for the past 32 years. 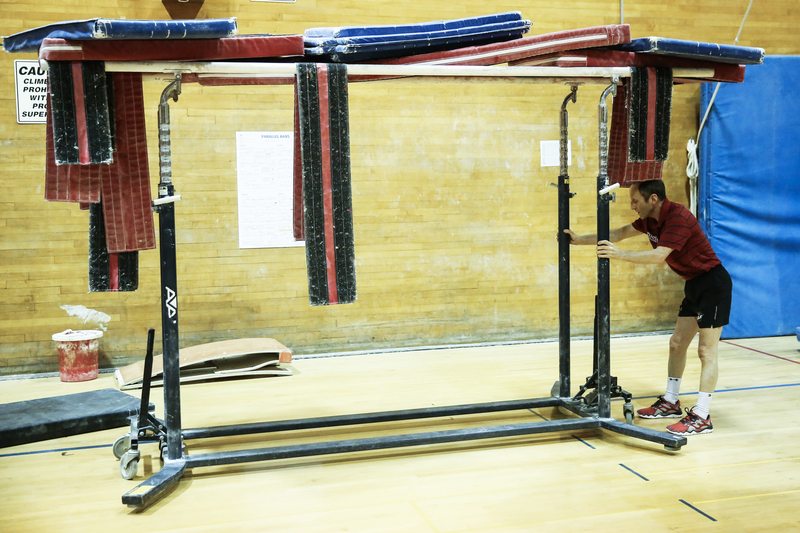 Men’s gymnastics coach Fred Turoff sets up equipment in the gymnasium in McGonigle Hall during a spring practice. Administrators say the men’s gymnastics team was cut in part due to issues with facilities. Now, the fact that the teams share space is one of the reasons the men’s team will have its Division I sponsorship reduced in July. 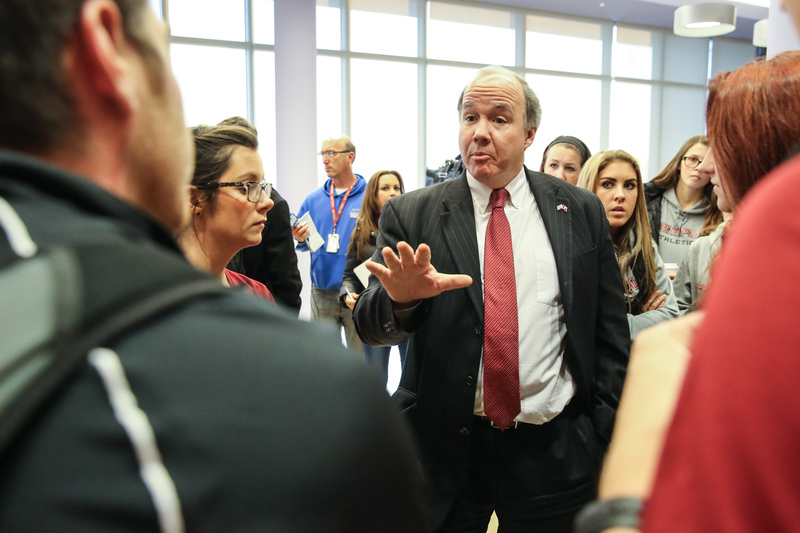 After the Board of Trustees voted to cut the men’s team last December, President Theobald said on numerous occasions that facilities were one of the primary factors for eliminating the program. To be sure, Temple is not in a unique situation when it comes to both the men’s and women’s team practicing together. Only three teams in the country have separate facilities for men and women: Michigan, Minnesota and Nebraska. One of those schools, Michigan, has two facilities that are far larger than what Temple has in the 8,000 square-foot McGonigle gyms. The women train in the 22,000 square-foot Donald R. Shepherd Training Center, while the men practice in the Loken Training Center, a 10,500 square-foot facility. Both feature resi and free-foam pits for every individual event. Most of the other Big Ten schools have similar facilities, including Penn State, the only other school in Pennsylvania to sponsor college gymnastics at the Division I level. The Nittany Lions practice in the White Building, which is 13,400 square feet, features various pits and has a team lounge with a flat-screen TV. But concerning Temple’s facility, gymnasts said the lack of pits isn’t the main problem for the Owls – it has to do with the building itself. Temple is also the only school in The American that doesn’t have stadium lighting and grandstand seating for its baseball program. The baseball and softball team, which were both included in the cuts, and the soccer teams compete at the Ambler Sports Complex. The Owls rank last or second-to-last in attendance in four out of the five sports that competed at Ambler last fall. Multiple administrators said the softball and baseball teams’ home at Ambler are inadequate and the cause for the programs’ inclusion in the cuts. Theobald has frequently mentioned Title IX specifically while making public comments explaining the cuts. In an interview in January, Senior Associate Athletic Director Kristen Foley said the desire to be compliant with Title IX wasn’t the “sole reason” for the cuts. Foley said the university has a roster management plan in place to ensure the athletic numbers line up. It was enacted as part of an overall gender-equity plan after re-certification. In February, Theobald reported to the Board of Trustees that the university was under investigation by the OCR for possible failure in providing equal opportunities for its female student-athletes. Still, despite whatever overtures Temple makes toward being Title IX compliant in the future, it’s unclear what, if any, penalties the university will face for its non-compliance. Scores of Division I schools across the country are Title IX non-compliant. In Temple’s conference alone, half of the schools don’t pass the participation to aid numbers test. Bradshaw said that the notion of dropping some sports was “always under discussion” under the administrations of former presidents Ann Weaver Hart and David Adamany. He said he was “disappointed, but not totally surprised” to hear about the decision to cut sports. While Bradshaw was able to avoid any cuts during his tenure, the budget issues that many Temple sports have today were no less dire under his administration and have been highly scrutinized in the new conference. A review conducted by The Temple News last spring, using 2011-12 data, showed Temple ranked last in the new conference in operating expenses for its non-revenue sports by about $12,000 per sport. The non-revenue sports stacked up much better in the Atlantic 10 Conference, the Owls’ home for all sports other than football from 1982–2012. Records show that last year Temple had the largest athletic budget out of all the A-10 schools by far, about $12 million more than the University of Massachusetts. Facilities, too, were much more in line with that conference. Historically, the football team has competed in a separate conference from the non-revenue sports, which have been able to stay competitive against schools with more modest budgets and facilities. However, in the new conference of football schools, some of the financial discrepancies are alarming. 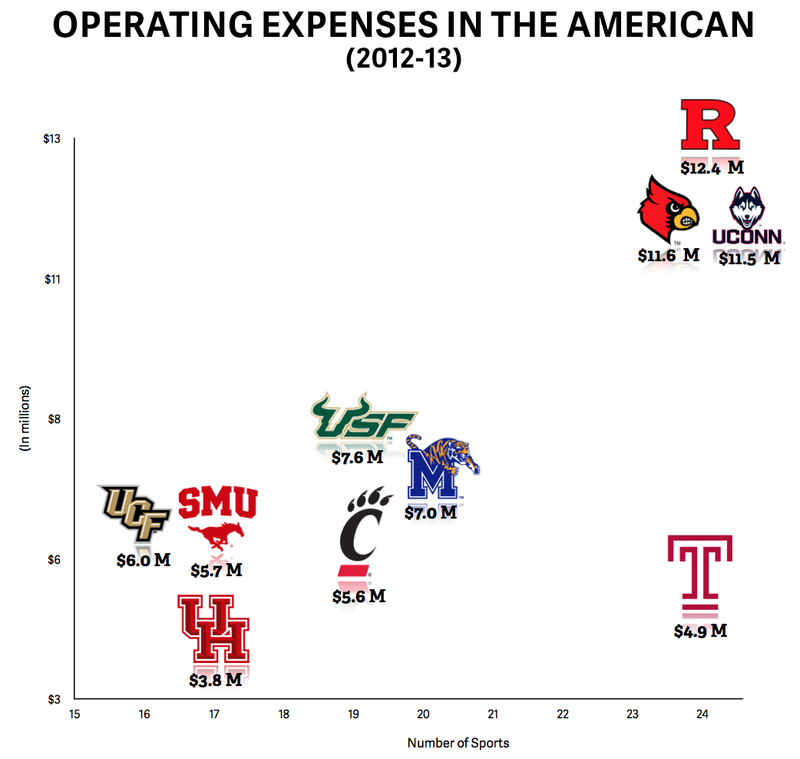 Temple spent $62,500 in operating expenses combined on its men’s and women’s tennis programs during the 2011-12 year, which ranks last by far among The American schools. Most schools spent more on just one of their programs than Temple did on both of its combined. 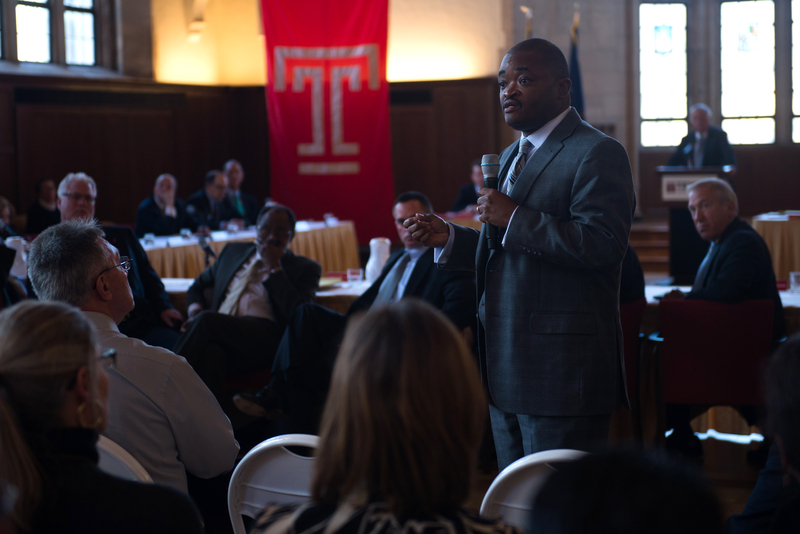 Bradshaw admitted the decision to change conferences mostly considered Temple’s revenue sports, saying “those conversations are always more compelling” when discussing football and basketball.